The harsh winds of winter may leave your skin feeling dull, dry and patchy. Regular exfoliation is one of the best ways to get rid of dead skin cells building up overtime. I try and remember to exfoliate at least once a week! Trust me, you can see the difference. Exfoliating also helps to get rid of ingrown hair and also helps preventing it. I have oily skin so i usually exfoliate my face once a week using the St Ives Apricot scrub, it's amaaaazing! I love it, it is probably one of those products that I can not live without. Also body shop also do a couple of body scrubs that are good to use, I recently bought their Brazil nut body scrub (on sale!!). The smell is chocolaty kind of coconuty, if that's even a word! Haha But It does have big grains which I found made my skin noticeably softer and you know how some people talk about 'glowing skin', well this product will help you achieve that. I am not saying it makes your skin look like you've slapped on an illuminator but I found that it actually made it look a lot less dull. CELLULITE, Why was it ever invented? Most women (that I know) have this problem including me and it is quite common, regardless of weight and age! It is the dimpled skin that is usually formed on a womans thighs, stomach and other areas depending on each person. It is just a natural way to store fat under the skin. 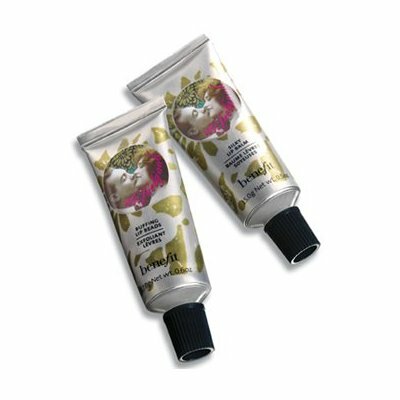 There are several 'cellulite creams' available but honestly in my opinion they only seem to temporarily reduce the appearance of cellulite. I mean, continuous use overtime may have an effect. What seems to work for me are salt scrubs and general body scrubs. What I do is use it before a bath or shower on dry skin and just rub in circular motion, not roughly. (You're supposed to use it on damp skin, but it's just what works for me!) Also always moisturize after a bath/shower to prevent the skin drying up and you'll see the difference. Also a clever little inexpensive trick that works wonders, coffee beans! Try mixing some warm used coffee grounds with a tbsp of olive oil twice a week while in the bath, leave on for about 10 minutes and wash off! The Spa Wisdom Africa Ximenia & Salt Scrub from The body shop is an expensive buy, which cost me £15 compared to the Brazilian nut body scrub which was on sale for £5 (Bargain!!). The difference between these two as you can probably tell from the pictures is that this salt scrub is a lot finer than the Brazilian body scrub. I think I prefer the other one, just because it's a grittier scrub with nutshells! It depends on what you're looking for really. If you have dry skin and are looking for a salt scrub which is also moisturizing and not too harsh on the skin then The Spa Wisdom Africa Ximenia & Salt Scrub is just the perfect product for that, but for me personally it doesn't seem to be worth the price just because I have oily skin and I absolutely love the Brazilian nut body scrub! It smells like an ice cream, seriously! I could eat it, and it leaves my skin glowing and soft. Also use the body butter after for amazing results. I could go on about this product for ages but you have to try it for yourself. That is all for now. I really do hope you guys enjoy this and it has been of help in some way! Keep me posted on your exfoliation techniques and the products you use.